sources for them, and offer practical case studies and study modules." 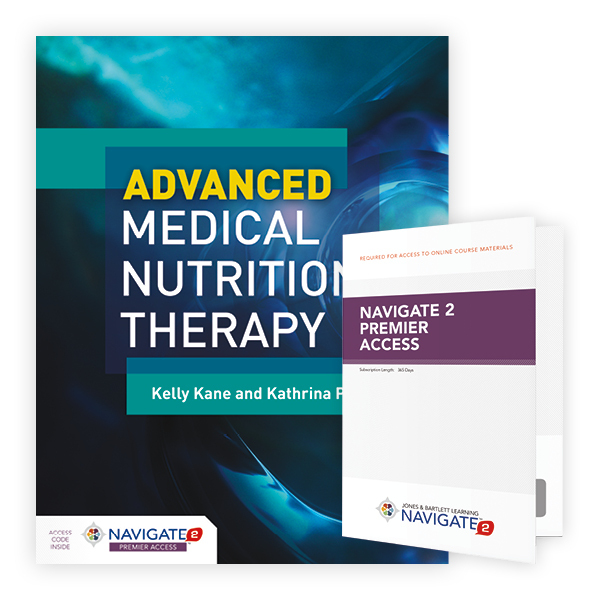 Advanced Medical Nutrition Therapy provides students and clinicians with the tools needed to render effective and evidence-based nutrition care plans based on the fundamentals of diet and disease. This text utilizes a practice-oriented, case-based approach that incorporates problem-based learning and engages the reader in various clinical scenarios. Each new print copy includes Navigate 2 Premier Access that unlocks a comprehensive and interactive eBook, student practice activities and assessments, a full suite of instructor resources, learning analytics reporting tools, and 10 decision-tree simulation modules.